An elegant Georgian House, dating back to 1735, built of classic honey coloured Bath stone. The dignified exterior conceals more than half an acre of magnificent walled gardens with splendid views out over the City of Bath. Small and privately owned, our aim is to offer the best personal service with attention to every detail. Bath Paradise House has 11 delightfully appointed rooms, all are individually styled to provide a mix of traditional elegance and modern comfort. 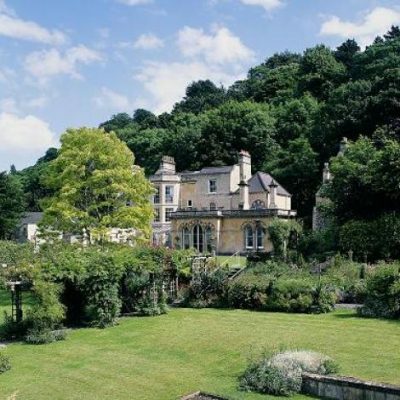 Paradise House is a luxurious boutique B & B in Bath just 10 minutes walk from the town centre. Traditional English or Continental Breakfast is served in the dining room and includes full English, fresh seasonal fruits, smoked salmon with scrambled eggs, a vegetarian option, plus special diets can be catered for. Continental breakfast can be served in your room. Bath Paradise House is licensed.